Ottawa is a city full of diversity. The international student rate has been rising in Ottawa for years now, creating a wonderful mix of people and culture. Being able to represent your background freely in school is something we should all be proud of and encourage. Students from all around the world are choosing Ottawa to study, and we wanted to find out their reasons why. Glue magazine spoke with three women – Nadia Suwindeh, Jessica Gao and Lauren Cortés – about why Carleton, Algonquin College and uOttawa respectively were the right choices for them. 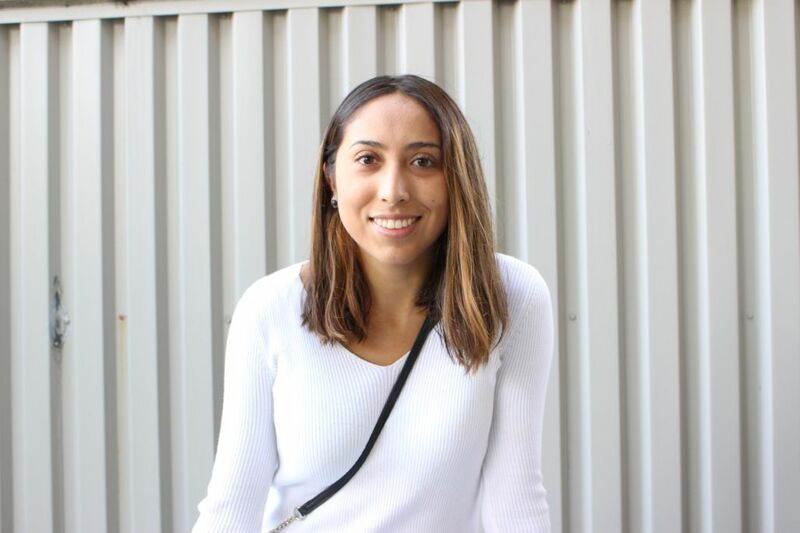 Nadia Suwindeh has only been in Ottawa for about two months now, but is enjoying her experience. She likes being a student at Carleton University and is looking forward to the year ahead. 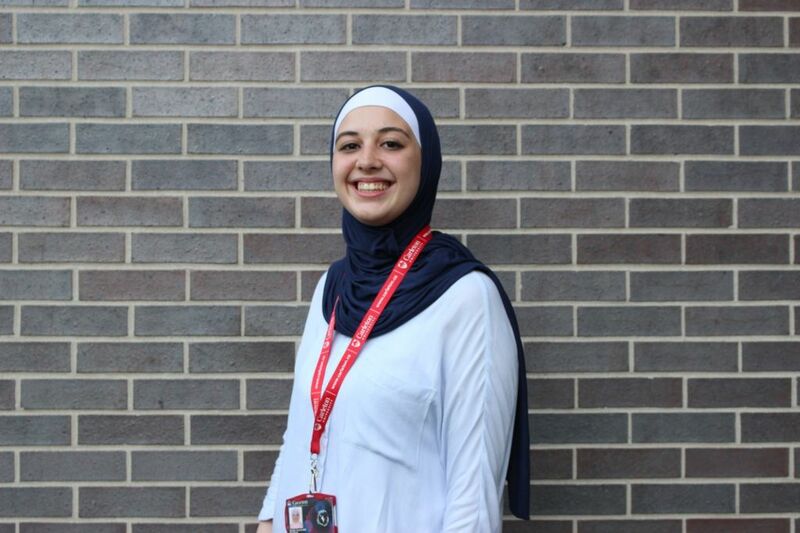 Nadia Suwindeh, 19, came to Ottawa for the first time in early September, where she began to prepare herself for the school year ahead of her. This is Suwindeh’s first time studying and attending school in Canada. She is originally from Amman, the capital of Jordan. There, she attended a postsecondary school to study finance and business for a year before coming here. She now studies financing at Carleton University. Suwindeh chose Carleton for a few different reasons. One main factor being the language. “I wanted to further my education and English skills,” said Suwindeh. A lot of research went into Carleton when it was time for Suwindeh to make the decision. In the end, her choice of schooling became pretty clear. “I searched and found out Carleton is really good in business. One of the best in business actually. It’s a good way for me to learn and improve,” she said. So far, Suwindeh is enjoying her program. Suwindeh hopes to find a job back in Jordan when she finishes her program, but is open to any opportunities that come her way in Ottawa. Suwindeh is currently taking two classes and an ESL course. She finds the class material similar to Jordan for most aspects. However, there are a few differences. Of course, there are plenty of differences between the two cities themselves. One big adjustment for Suwindeh was the difference in culture and sociality. Suwindeh was surprised to see people studying by themselves or missing out on family dinners. Back in Amman, it was common for Suwindeh to always be doing something with somebody. Other than the social aspect, Suwindeh is liking Carleton so far. Everything in Ottawa is new to her and she enjoys seeing what else the city has to offer. “It’s beautiful,” she said, when speaking of the nature and scenery surrounding the university. Suwindeh is also interested in the activities that the school provides and is looking forward to attending some events or joining clubs later in the year. Suwindeh has made some friends through her courses. In her ESL course, there are students with similar situations. For Suwindeh, it is comforting knowing that someone else is experiencing this whole new adventure with her. Being the only one in her family in Ottawa, Suwindeh is living on residence for the year. “It is difficult being so far away from my family,” she said. Suwindeh is going back to Jordan in April when the school year is over, but is planning on returning for another year and eventually finishing the program in Ottawa. Jessica Gao wasn’t too sure what to expect of her program at Algonquin, as it is a field she has hasn’t studied before. However, her first few months have been great and she is loving what Ottawa has to offer her. Jessica Gao, a 20-year-old Algonquin College student is experiencing college for the first time. She is doing so in Ottawa, a city she has only been to once before. Gao is studying event management. This is currently her fourth year of studying. 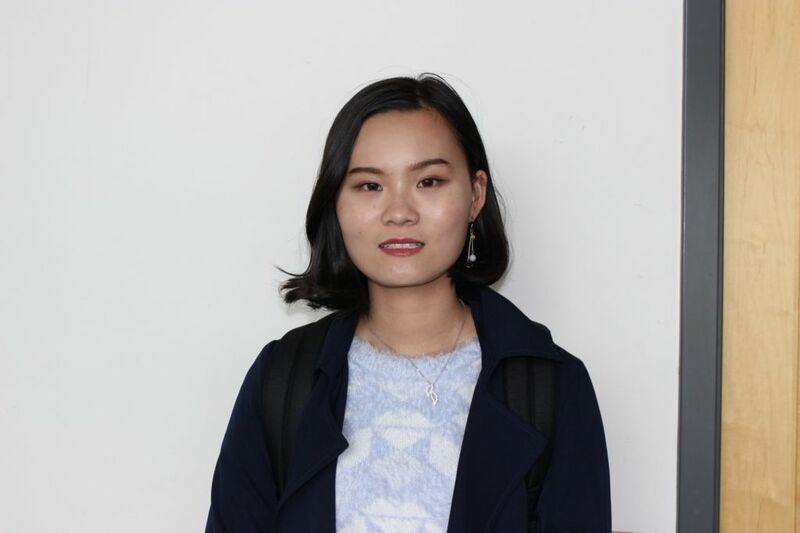 She completed three years of school at a university in China studying business-English prior to attending Algonquin. Because of this, Gao will now graduate in Canada and in China with a bachelor degree this school year. This is Gao’s second time in Canada. She enjoyed her time and thought hard about coming back. Gao decided to study event management after having students from Canada visit her school in China. Gao provided translation and worked closely with the students. It was then she decided that this program could be something she is interested in, considering her skills in business, organization and her knowledge with English. Upon returning to Ottawa, Gao noticed many differences between Algonquin and her university in China. Gao likes the hands on work approach and likes the way the program functions. She’s excited to see what else this school year has in store. Another big difference Gao came across was the food, which surprised her. “I notice in Canada people eat more for dinner than lunch,” said Gao. In China, it is typical for lunch to be the main meal of the day. Gao also isn’t too big on Canadian food. One of the things she misses most is Chinese food. Gao is renting a house close to the college. As much as she likes her set up, she is finding the commute to be annoying. She says the bus can be frustrating and something she doesn’t like to rely on. “Transportation in China is much, much more convenient. We have subways and high speed trains and cars,” she said. Besides all these differences, Gao is enjoying Algonquin. She likes the atmosphere of the college and the attitude Canadians have, as well as the variety of nationalities and the diversity. Another one of Gao’s favourite aspects about Ottawa is the weather. Gao is happy she chose Ottawa and Algonquin to complete her fourth year. She’s a big fan of the community and people she has met so far. “I love it. All of it,” she said. Lauren Cortés is in her second year at uOttawa. She is anxious to see what this year has in store for her and where it will take her. Lauren Cortés, a 20-year-old student from uOttawa, has been in Canada for ten years. However, she’s only been in Ottawa for two of those years studying. She is taking economics and public policy in the French immersion program at the University of Ottawa. Cortés, who is originally from Colombia, moved to London, Ontario when she was ten years old. After her older sister decided to study in Ottawa, Cortés decided to follow in her footsteps. “Through my sister I was able to know more about the university and what it offered me,” said Cortés. Cortés is also interested in getting more of an international experience, which is something the school offers. This year she took part in their buddy program, which pairs you with an international student studying at the school for the semester or the year. She is hoping to take part in an exchange herself in the future. One thing Cortés likes best about uOttawa is the diversity. “It may be hard for someone from Ottawa to notice, but the fact is that the city and especially the university is filled with people from all types of backgrounds,” Cortés said. She likes seeing all the different types of ethnicity on campus. Living in a smaller town for ten years prior to studying in Ottawa, Cortés really enjoys seeing all the various types of cultures. Outside of the school, Cortés likes the city itself for many different reasons. One thing that stands out to her is the area where her school is located in Ottawa. Cortés loves the scenery and being so close to the Parliament, the Byward Market and the Rideau Canal. “It makes the idea of going to school 100 times better,” she said. However, there is a downside to Ottawa. Cortés misses her family. Although, because she’s already moved away before when she was ten, she knew what she was getting herself into and how to handle homesickness and responsibility.